QUOTE | “It doesn’t matter what it will cost. If it costs too much this week it will cost the right amount a year from now.” - Oculus head of worldwide studios Jason Rubin, talking about why he’s a great believer in the future of VR despite the initial costs. QUOTE | “One of the reasons we like the celebrity partnerships is that we get, effectively, a permanent marketing asset.” - Glu Mobile CEO Niccolo De Masi talking about why his company has signed Kim Kardashian and half a dozen other celebrities for mobile games. QUOTE | “We’re not picking one. 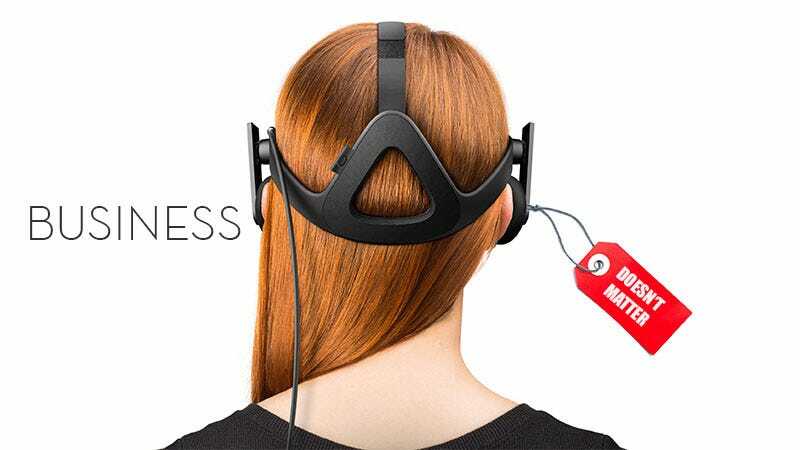 We’re going with all of them.” - VR developer nDreams CEO Patrick O’Luanaigh, talking about their strategy for success in VR when nobody has an exact release date or price point for VR hardware. QUOTE | “The real question everyone is looking to answer is... whether a legacy publisher like Activision can truly fully adapt to the new reality of digital gaming.” - Joost van Dreunen, CEO of analyst firm SuperData, talking about whether Heroes of the Storm can continue to grow after a good start. STAT | $32.9 million – Amount that Star Citizen raised on 2014 through crowdfunding (the game’s total raised is now over $92 million), more than the $20 million raised by all the video games on Kickstarter in 2014. QUOTE | “Analytics are very good at measuring aspects relating to churn and average number of sessions per day, but they’ll tell you little about the player experience.” - Consultant Graham McAllister, talking about how you can measure everything about a game and yet understand nothing. QUOTE | “If you develop for more than a year and a half in isolation it’s very dangerous.” - Henrique Olifiers, Bossa co-founder, talking about why they are opening up their new game Worlds Adrift as soon as possible so they can get feedback. QUOTE | “You are not in competition with other developers, especially other small independent ones.” - Indie developer Scott Brodie, talking about some of the important lessons he’s learned in his years as an indie. STAT | #1 – Rank of China among nations in terms of overall game revenue for 2015, estimated at $22.2 billion, according to analyst firm Newzoo; the US is second with $21.96 billion, and Japan is a more distant third at $12.33 billion. STAT | 34% – Percentage of the fighting game playing population who are female; this compares to the 30 percent female audiences for Call of Duty or League of Legends, and less than 25% female audiences of games like Dota 2, Counter-Strike GO, and Smite. QUOTE | “CS:GO is the epitome of a successful game as a service (GaaS) - the product has evolved over time to meet the needs of a diverse community.” - Analyst firm EEDAR’s Patrick Walker, talking about how Counter-Strike: Global Offensive has more than tripled its number of concurrent players in the last year. STAT | 82% – Percentage of Brazilians ages 13-59 that play games, according to research firm NPD Group; the average Brazilian gamer spends 15 hours a week playing games. This Week In The Business: What Exactly Is A Console, Anyway?